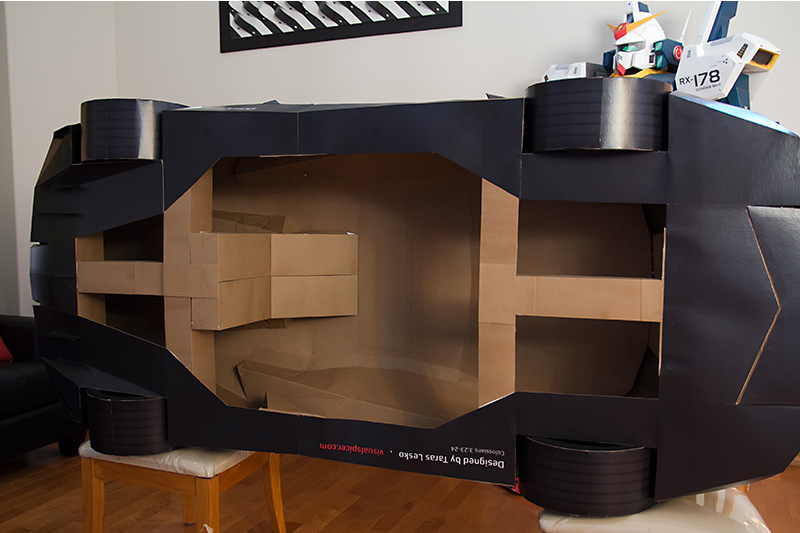 Taras Lesko adds one more car to his cardboard collection. 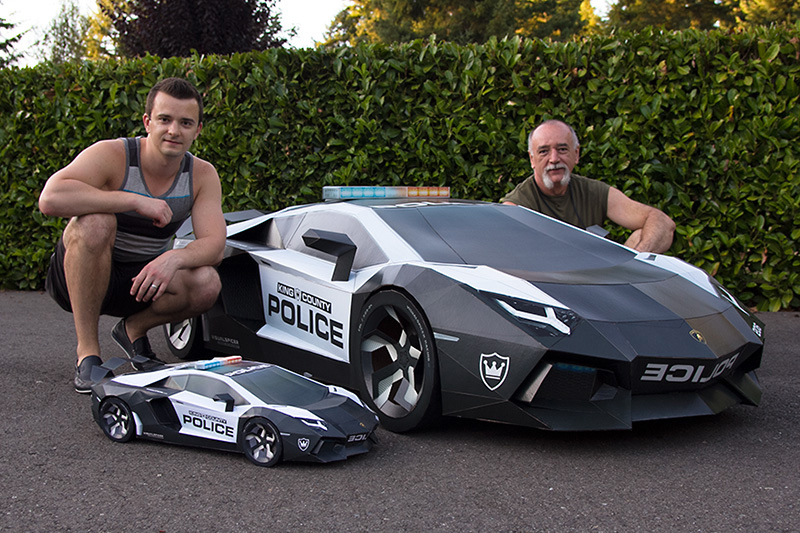 He built this 8ft. 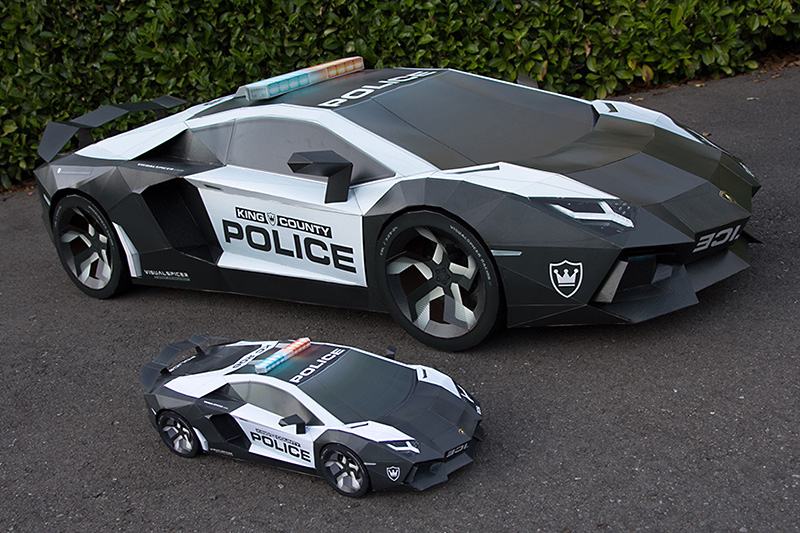 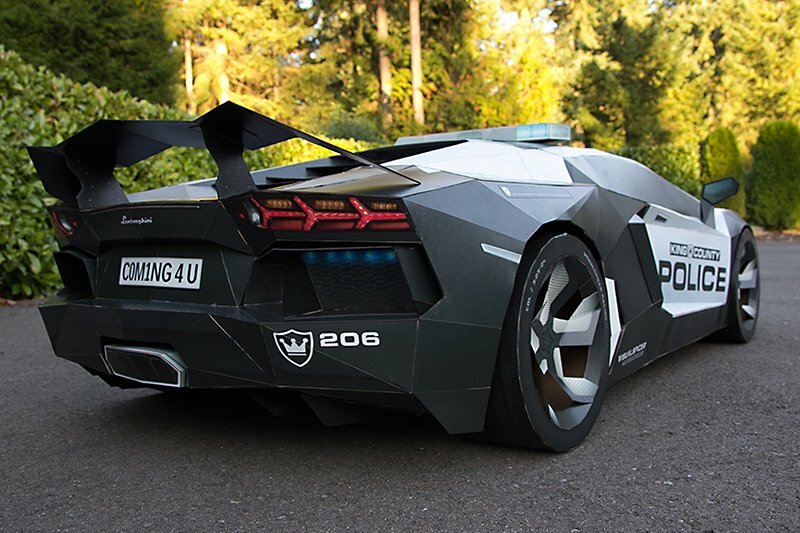 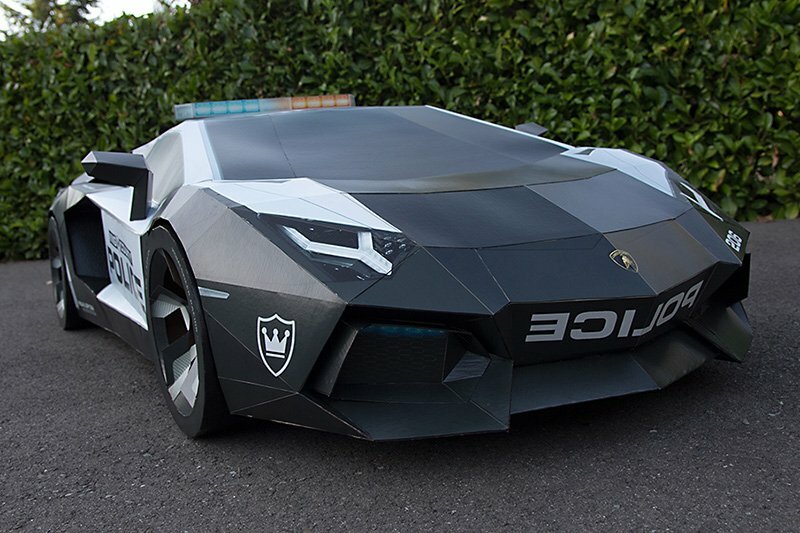 long replica of the Lamborghini Aventador as it appears in Need for Speed: Hot Pursuit. 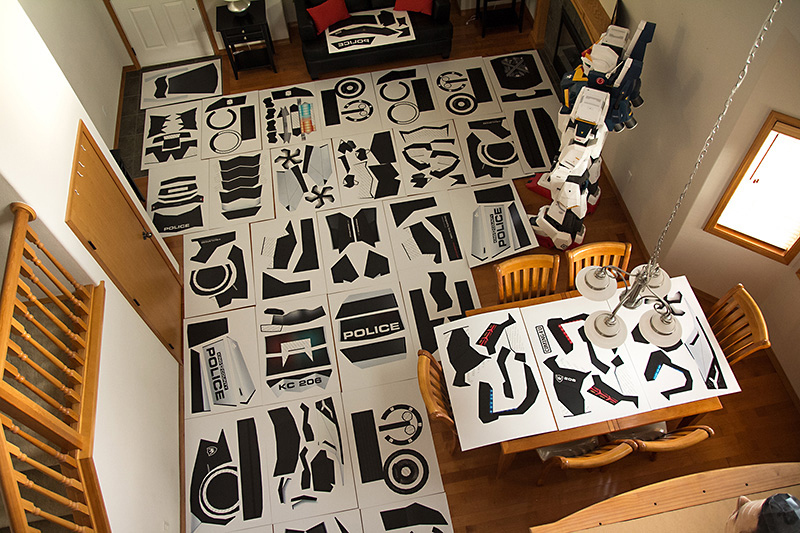 You can buy the template for a 30″ version of this build on his website.